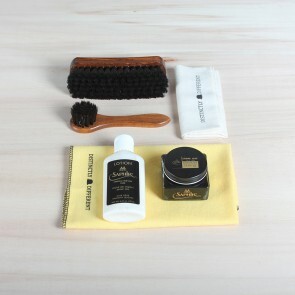 Every shoeshine kit needs a good horse hair brush, you are going to use this brush the most and when you only have one, a brush with horse bristles is a must have. 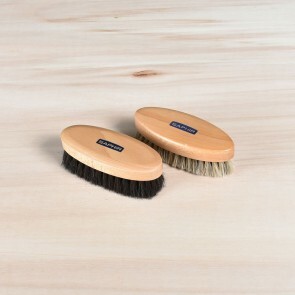 The horse hair brush can be used for delicately cleaning and polishing the shoe. 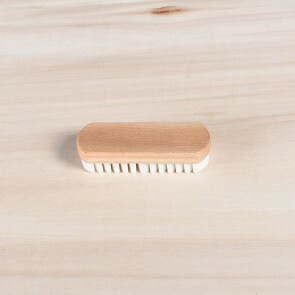 The softer horse hairs provide enough friction to create a shine without removing too much polish which will sometimes happen with the tougher, boar hair brush. 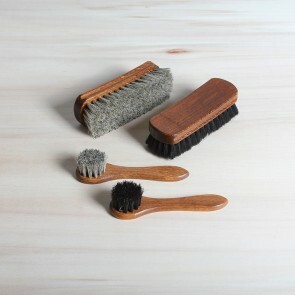 The boar hair brush is in general more tough and rough than the bristles of a horse hair brush and is suited for cleaning leather with texture, such as pebble grain leathers and shoes with broguing. 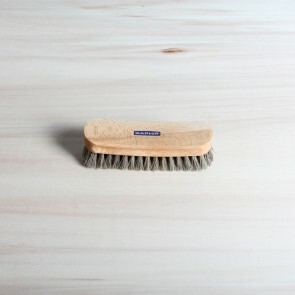 The tougher boar hair gets deeper in the leather to remove accumulated polish and dirt. 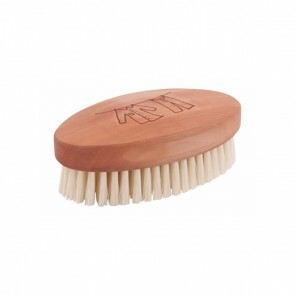 To give your leather shoes a good cleaning this is the ideal brush to have in your shoe shine set. 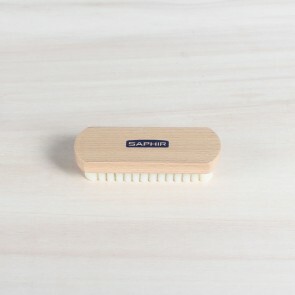 The goat hair brush is mainly used for finishing and is suited for dusting your shoes at the beginning and end of your day. 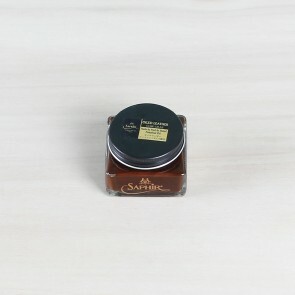 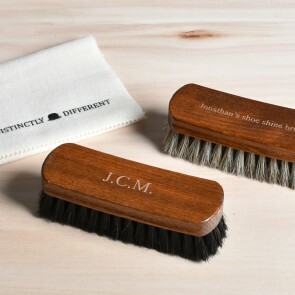 But this brush is also very suitable for treatment of the more delicate and exotic leathers. The brush is strong enough to remove dirt, yet soft enough to not jeopardize the texture of your shine. 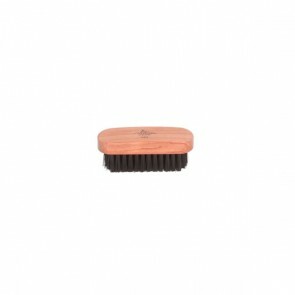 If you need a good cleaning brush the synthetic hair brush will do the job. 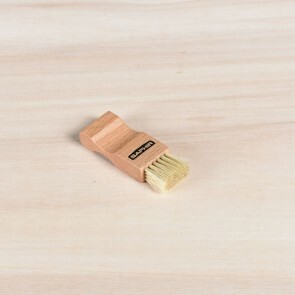 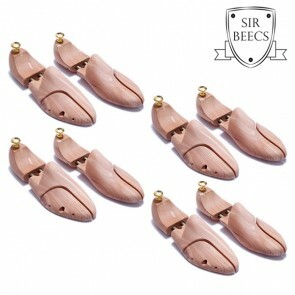 The tough synthetic hairs make the brush fitting for the rougher cleaning work on for example suede, and it is used to remove stains and shoeshine from the shoe. 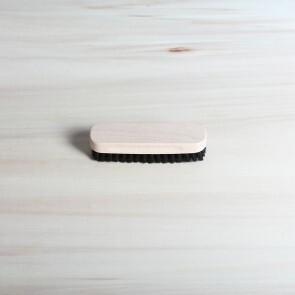 The Crêpe brush is perfect for suede and nubuck products to brush up and make your product nice and clean. 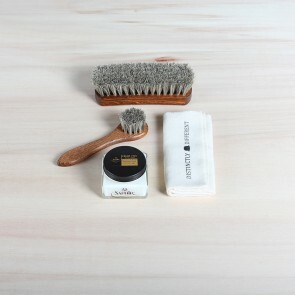 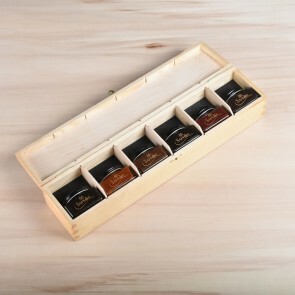 The brush is made from soft crêpe (a natural kind of rubber) and makes sure the leather is cleaned and restored properly. 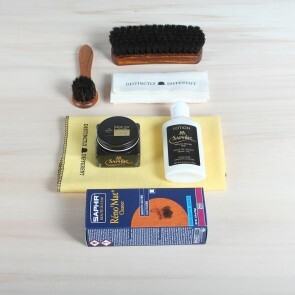 Remove dirt from your suede and nubuck shoes. 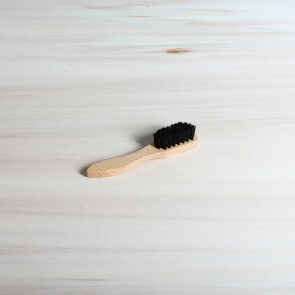 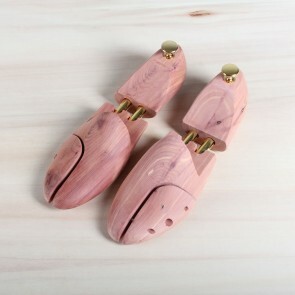 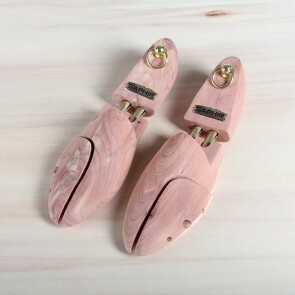 The brush is tough enough to be able to remove dirt from your shoes, but soft as well so it doesn't damage the leather.